The conservative group Crossroads GPS attacks Colorado Sen. Mark Udall for saying the Islamic State in Iraq and the Levant isn’t an “imminent threat” to the United States. The ad leaves off the rest of the senator’s remarks and then cites a news article that actually supports what Udall said. 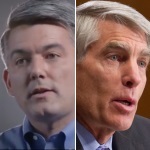 Colorado’s Senate race pits Democratic freshman Sen. Mark Udall against Republican Rep. Cory Gardner, who is in his second term in the House. In the 2014 fight for control of Congress, Democrats are sometimes using a tactic they’ve used before: Falsifying or exaggerating the positions their Republican opponents have taken on abortion. 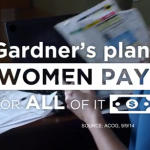 Both sides in the Colorado Senate race are misleading voters in TV ads on Republican Rep. Cory Gardner’s proposal to allow the sale of birth control pills over-the-counter. 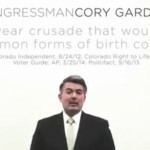 A major issue in the Colorado Senate race has been a state ballot initiative on “personhood” and what it could mean for common forms of birth control, including the pill. 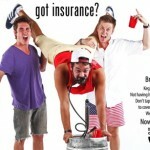 Neither side is quite telling the whole story.